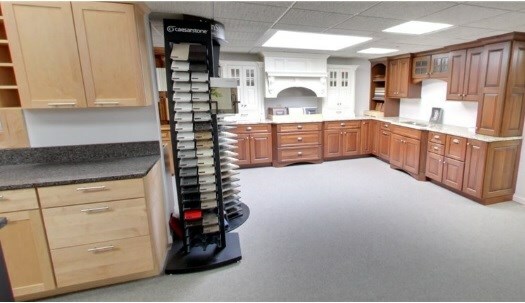 When it comes to the best supply and design of Glencoe wholesale cabinets, Lakeland Building Supply simply cannot be beat. Whether you are remodeling your household or business, the wholesale cabinets’ selection from Lakeland Building Supply is of the highest quality. Our company carries the selection of wholesale cabinets that the residents and businesspeople of this city depend on - just a few of the brands that we are proud to offer include Mid Continent Cabinetry, Omega Cabinetry, Shiloh Cabinetry, Dynasty Cabinets and Top Knobs. No matter how big or small your upcoming needs may be for wholesale cabinets, you can rest assured when working with the Glencoe experts of Lakeland Building Supply. Get in touch with Lakeland Building Supply today, or visit our showroom to view the many different options we have when it comes to your wholesale cabinets requirements. Lakeland Building Supply is proud to offer a wide selection of Glencoe replacement windows and wholesale windows for residential and commercial clients. A high-quality window will liven up your household or business and also help reduce your energy costs. Some of the brands that Lakeland Building Supply offers include Milgard Windows, Kolbe Windows, Lincoln Windows, MI Windows, CertainTeed Windows and Timeline Windows. Whether you just need to replace one window or need to purchase wholesale windows for your entire household or building, Lakeland Building Supply has the selection you can depend upon. Get in contact with Lakeland Building Supply today in regards to your needs for replacement windows and wholesale windows, or visit our Glencoe showroom today to view our options. Lakeland Building Supply carries a wide array of wholesale doors and replacement doors for residential and commercial customers. We understand the importance of a high-quality door for security reasons as well as the overall aesthetic value of your household. Some of the brands that Lakeland Building Supply offers include Kolbe Doors, Lincoln Doors, Simpson Doors, Milgard Doors, MI Doors, ProVia Doors, Masonite Doors and ODL Decorative Glass. With our breadth and depth of choices, you can rest-assured knowing that your wholesale doors and replacement doors requirements will be met. Our Glencoe company has the selection and brands that you can depend upon to meet all of your unique needs for wholesale doors and replacement doors. Contact Lakeland Building Supply with your specifications, or visit our showroom today to view the many different options Lakeland Building Supply has for your wholesale doors needs. A perfect way to keep your home looking great all year round is by using high-quality wholesale siding from Lakeland Building Supply. All wholesale siding that we stock is guaranteed to hold up to rough weather conditions and add further value to your home. Paint may peel or fade, but wholesale siding will last for years to come. Some of the wholesale siding brands that Lakeland Building Company offers include NextStone Siding, North Cape Siding, Norandex Siding, RMC Siding, Alsco Siding, Hardie Siding, LP SmartSide Siding, The Foundry Siding, Shakertown Cedar Siding, Nailitie Siding and CertainTeed Siding. Get in touch with Lakeland Building Supply today in regards to your needs for maintenance-free Glencoe wholesale siding that will add to your home's curb appeal. Visit our showroom today to view the many different options we have when it comes to wholesale siding. Lakeland Building Supply carries a wide range of wholesale building supplies and wholesale building materials to help add value to your home. 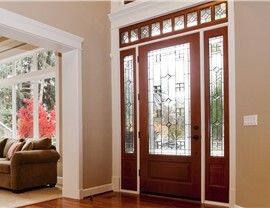 Energy efficient wholesale doors, wholesale windows, wholesale siding and more help save energy and also look great. No matter your building supplies materials needs, Lakeland Building Supply has the wide selection to meet your requirements. Some of the wholesale building supplies brands we offer include Lumberock, NextStone, Mid-America, Atlantic Shutters, Trex Decking, The Foundry, Shakertown Wholesale Building Products, Nailite Wholesale Siding, VELUX, Fypon, ODL Door Glass, OSI Sealants, DuPont Tyvek Building Supplies, GreenGuard Underlayment and Tuscan Manufacturing . 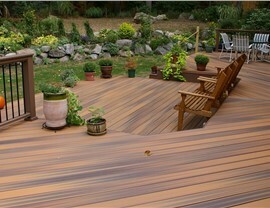 For the largest selection available of Glencoe building supplies, go with Lakeland Building Supply. Building supplies from Lakeland Building Supply cover a wide variety of your building materials needs, no matter the size or scope of your project. Whether you are working on a new project or refurbishing a household or business, Lakeland Building Supply has you covered. Get in touch with Lakeland Building Supply with your wholesale building supplies requirements, or visit our showroom today to view the many different options and brands that we have on display.